State forests abound around Oberon! Luckily for locals and visitors alike, they are available for all to visit, including your dog, whether you are on foot, on a bike or a horse, or even a bicycle. When the weather is warm, the forest offers cool sanctuary for any number of pursuits. Many interesting and challenging walking and hiking trails are available in the State forests, along with the opportunity to camp, with or without facilities, among magnificent scenery and natural features. The extensive network of roads and fire trails throughout the forests provide a host of exploration opportunities and the many creeks, rivers and lakes provide opportunities for canoeing, fishing and swimming. The local state forests are home to delicious forest mushrooms, which love to grow among the pine needles. 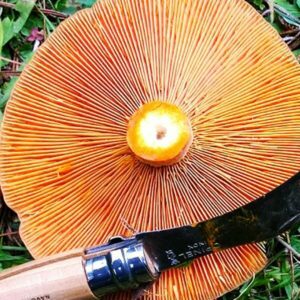 After autumn rain, mushrooming is very rewarding in the Vulcan State Forest, as well as Hampton State Forest, parts of Gurnang State Forest and Jenolan State Forest. Spending time in the great outdoors can be beneficial for the body and soul. In the often hectic rush of day to day life, we forget that a stroll in the fresh air can work wonders. Forest bathing or “Shinrin Yoku”, as the Japanese practice is called, is catching on in Australia and it’s all about being in the presence of trees and incorporating gentle mindfulness exercises. Forest bathing is proven to lower heart rate and blood pressure, reduce stress, boost the immune system and improve overall feelings of well-being. 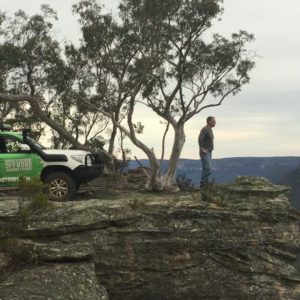 There are some great four wheel driving routes in the forests and trail bikes are welcome but stick to defined tracks to avoid damage and erosion. All the rules of the road apply to driving in the forests. Be alert to the hazard of heavy machinery and plan your trip carefully, never walk alone and ensure someone knows your whereabouts. For more details about facilities and trails, visit the Oberon Visitor Information Centre.